Due to its integrated blocking filter against laser radiation the infrared thermometer optris CT XL 3M is perfectly suited for temperature measurement of laser processing applications. Additionally, it is equipped with a far focus version optimally combinable with laser collimator optics. Furthermore, the IR thermometer optris CT XL 3M enables you to measure smallest objects and, due to its quick response times, monitor very fast processes. 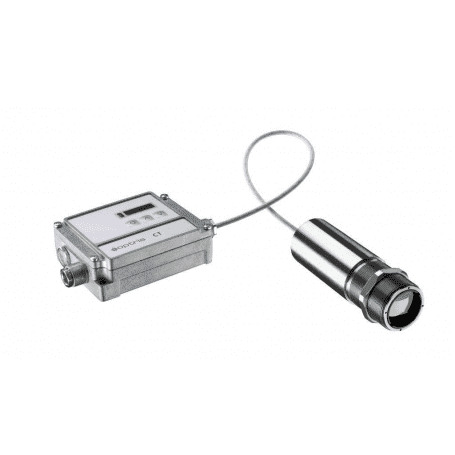 The pyrometer optris CT XL 3M, being resistant against laser radiation by means of its blocking filter, is optimally suited for temperature control during laser processes, e.g. laser welding of metals or plastics. In laser soldering processes the optris CT XL 3M is employed as well.